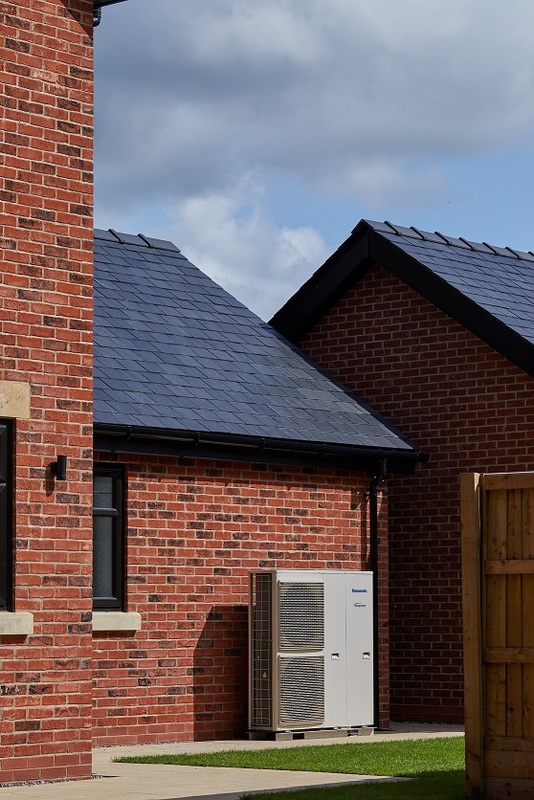 A team from The Energy Centre North West has installed Panasonic Aquarea T-Cap heat pumps to provide energy efficient and cost-effective heating and hot water for The Kem Mill, Primrose Development of nine high quality homes in Whittle-Le-Woods near Chorley. 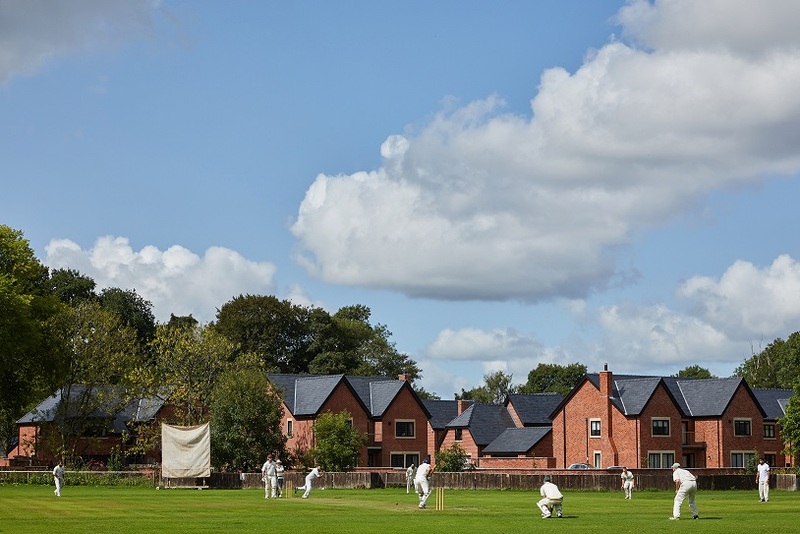 The new Primrose Development at Kem Mill comprises nine luxury four to six-bedroom residential homes. 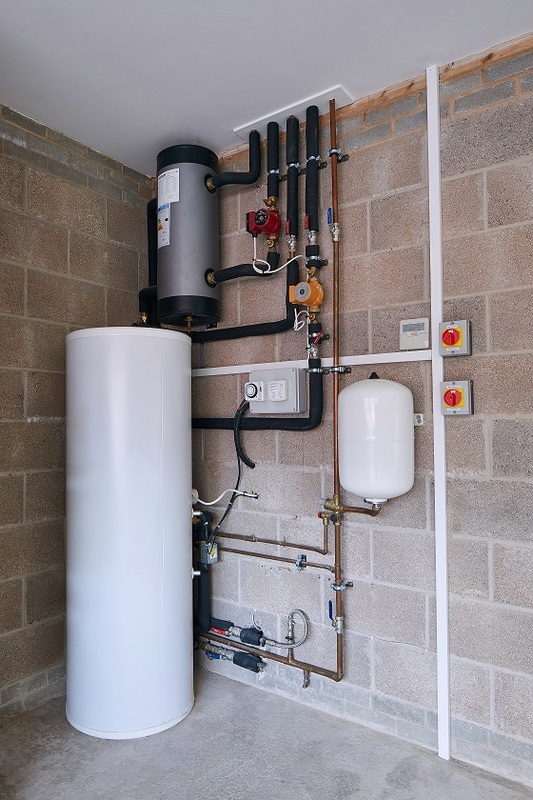 The properties required a suitable solution to heat the homes as well as provide hot water. The specified requirements for the solution needed to be from a renewable energy source, yet also reliable, aesthetically pleasing, quiet, energy efficient and cost effective for its residents. 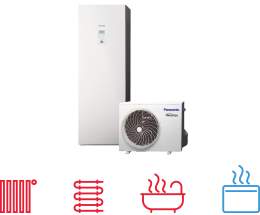 The Panasonic Aquarea T-Cap air to water heat pumps was recommended as the best solution to meet all the above criteria. 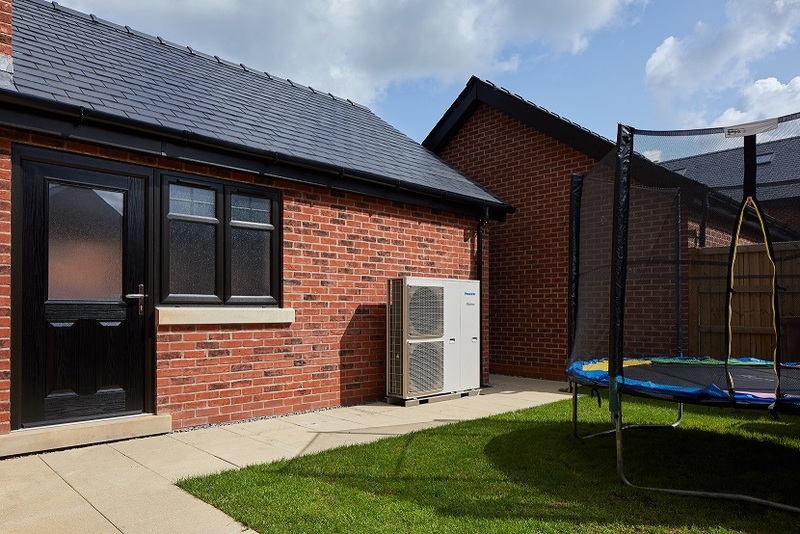 Each home has been installed with underfloor heating on the ground floor and radiators in the upper floors and all are powered by Panasonic Aquarea T-Cap renewable heat pumps. 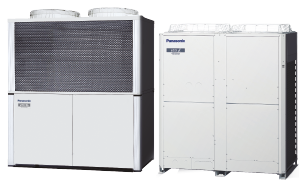 The Panasonic T-CAP air-to-water heat pumps are part of the Aquarea H Generation range and benefit from the latest Panasonic heat pump technology. 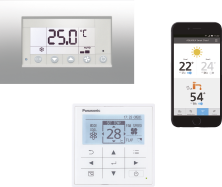 The units are controlled via the new Panasonic H Generation controllers. 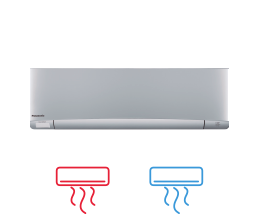 During operation, the controller provides time-switch programs for comfortable all year-round heating. In addition, thanks to the display of the current COP, the residents can always see how effective the system is in real-time. Chris Ingram, Director of The Energy Centre North West comments on the main benefits of the Panasonic Aquarea T-Cap “the units are super quiet which was a high priority during this project and thus allows them to be closely positioned to the properties where sound levels as low as 50 dB(A) are retained. The sound reduction in the units has been achieved with sound-absorbing materials that are commonly used in vehicles and computer systems. Panasonic’s three-blade fans also contribute to the model being particularly quiet. 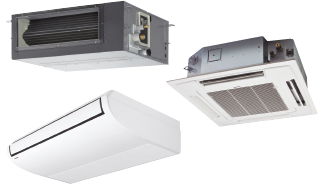 Furthermore, the units have an energy COP rating of 5.03* and can operate in temperatures as low as -20oC. 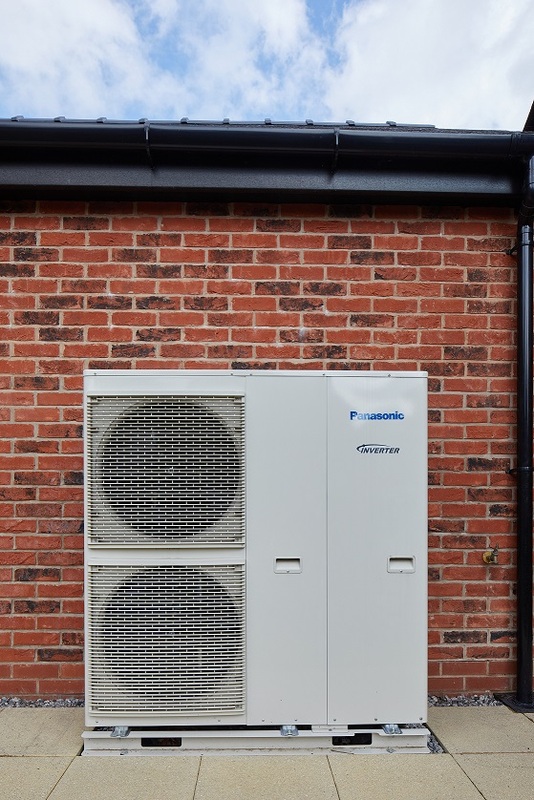 Additionally, as a specialist trained installer for Panasonic, we can also provide customers with a seven-year warranty on the units”. Mike Critchley added “the outside units are placed behind the garage, are unobtrusive and very quiet. We have been very impressed with the unprecedented attention to every detail of the Primrose development. The installers at The Energy Centre have been approachable and amenable during the installation process and for on-going maintenance of the system”.